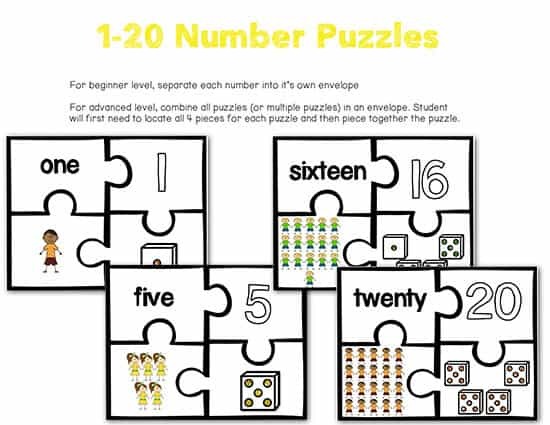 5 engaging centers for learning numbers 1-20. 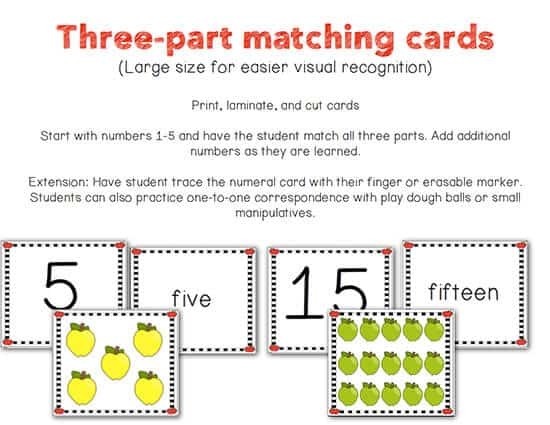 Start with numbers 1-5 and have the student match all three parts. 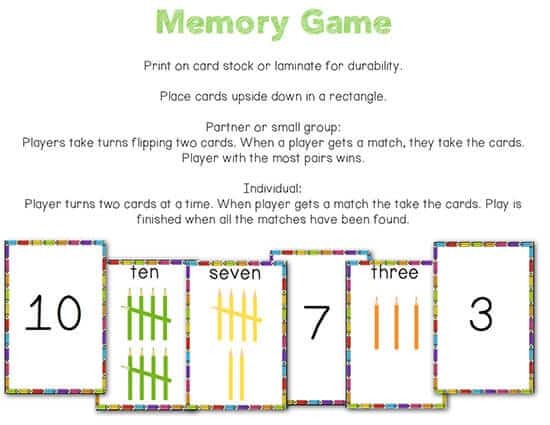 Add additional numbers as they are learned. 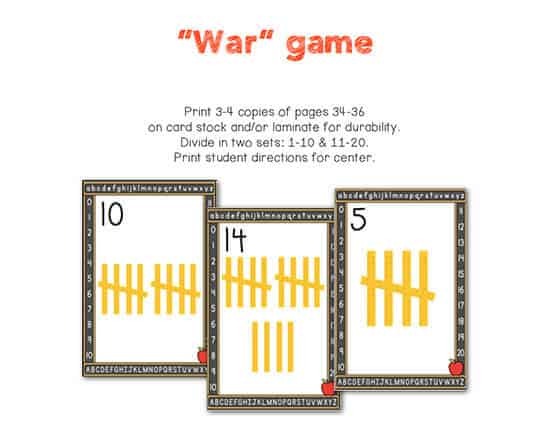 Extension: Have student trace the numeral card with their finger or erasable marker. Students can also practice one-to-one correspondence with play dough balls or small manipulatives. Print on card stock or laminate for durability. Place cards upside down in a rectangle. Players take turns flipping two cards. When a player gets a match, they take the cards. Player with the most pairs wins. Player turns two cards at a time. When player gets a match the take the cards. Play is finished when all the matches have been found. Before laminating, cut the cards apart on the dark lines. Do NOT cut the dotted line. Fold the card on the dotted line, so that the pictures are facing out. Laminate and trim, leaving a small edge around the card, so that the laminating does not peel apart. 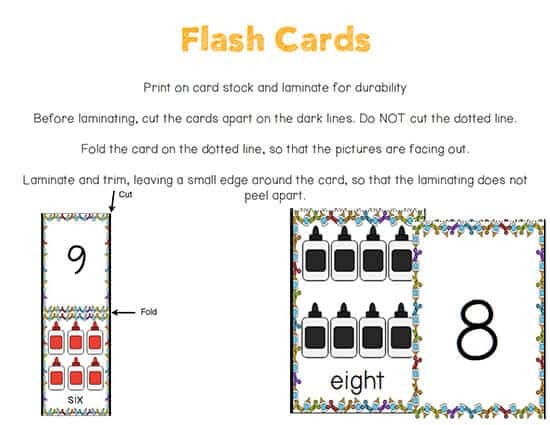 on card stock and/or laminate for durability. Divide in two sets: 1-10 & 11-20. Print student directions for center. 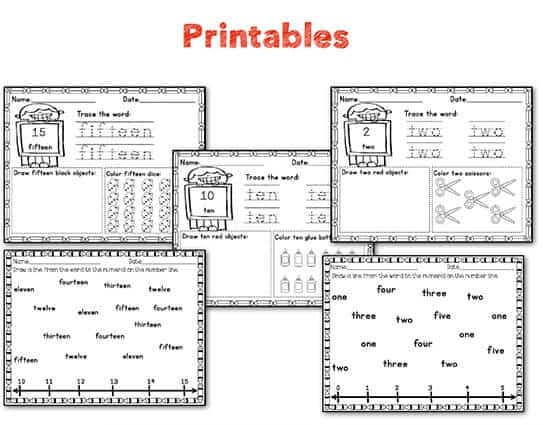 These are all great for introduction of numbers 1-20 for Pre-K, K, and 1st grade. Hope you enjoy these with your students!